Who has got the best GeForce RTX 2080? NVIDIA's board partners are going up against something entirely different this year. Custom cards used to be a clear upgrade over the reference or Founders Edition models. For instance, they generally came with significantly higher overclocks, much better cooling and swankier looks. Well, not anymore. 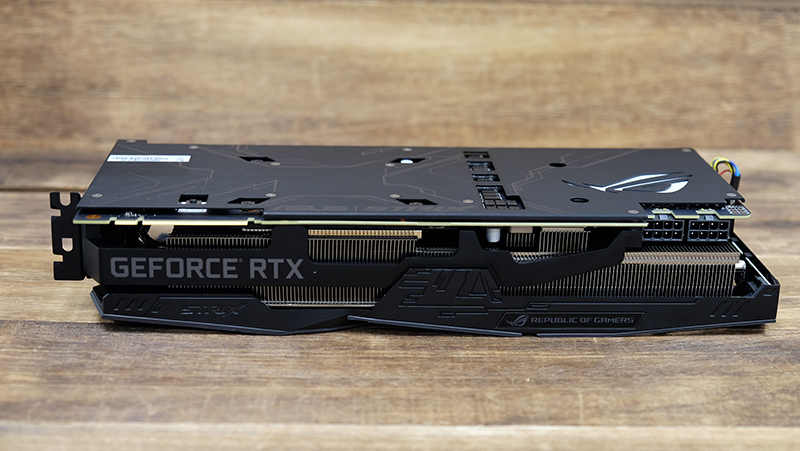 The GeForce RTX 2080 Founders Edition is taking the fight to NVIDIA's partners. The Founders Edition card is a swoon-worthy piece of hardware with a modern design and downright stellar build quality. It just feels expensive and premium, and when paired with an upgraded cooling system and factory overclocks, it is a desirable alternative to the usual selection of custom cards. This means that NVIDIA's partners will need to do a lot more to set their cards apart from the Founders Edition model. 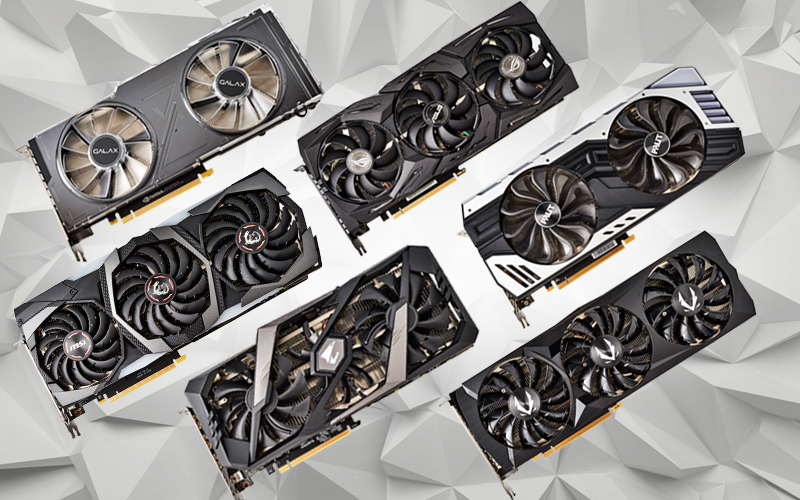 For this shootout, we are comparing cards from ASUS, GALAX, Gigabyte, MSI, Palit, and Zotac to find out what they're bringing to the table. Note (1): We're aware that the general sentiment now is to get a GeForce GTX 1080 Ti for its better value, but eventually, it will be out of stock and the GeForce GTX 2080 will be the forward-looking card to get. Note (2): The GALAX and Gigabyte cards weren't with us for testing when we first published this article in October. We've now updated our initial impressions and benchmark numbers to a full-fledged shootout after assessing all contenders. Find out who's our choice! 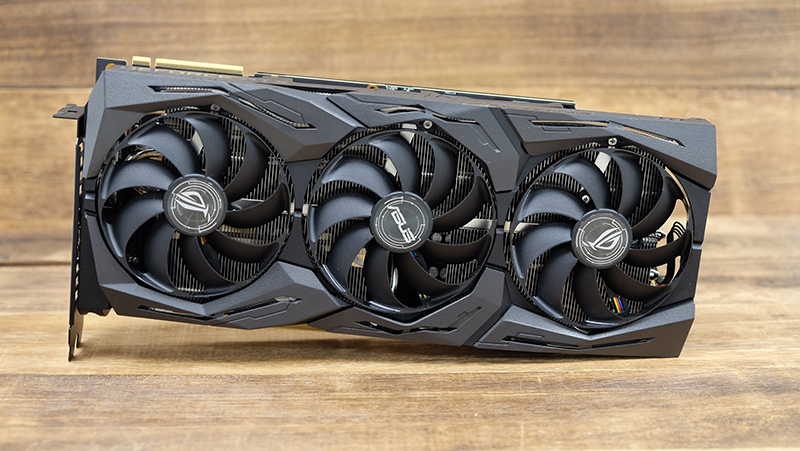 The ASUS ROG Strix GeForce RTX 2080 Gaming OC is one heck of a card. 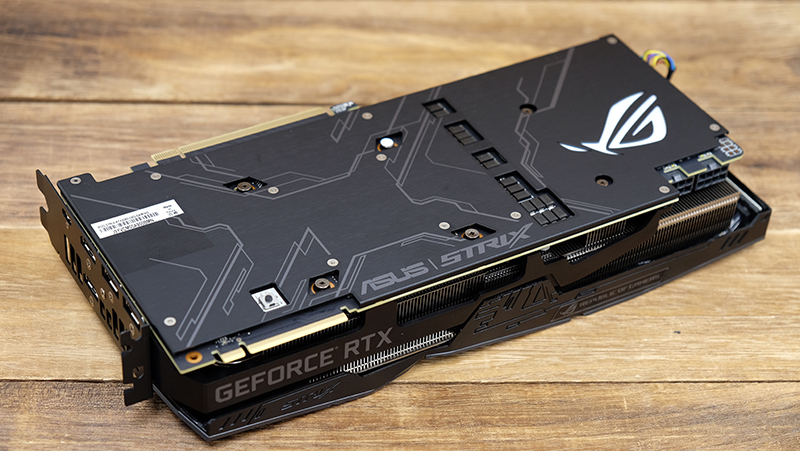 Short of going down the liquid cooling route, ASUS has probably crammed nearly every conceivable feature on its flagship GeForce RTX 2080 model. This is a fat triple-fan card with factory overclocks and bells and whistles like upgraded power delivery and lighting, which is probably what you’re looking at if the Founders Edition card isn’t quite doing it for you. In OC Mode, the card boasts a base clock of 1,545MHz and boost clock of a 1,890MHz, which makes it one of the higher clocked cards in this shootout. That said, the ROG Strix card hews to a familiar design. The plastic cooling shroud is all aggressive lines and sharp angles, and it does look very similar to what ASUS did with its Pascal cards. The main difference is probably the thicker, more powerful cooler. 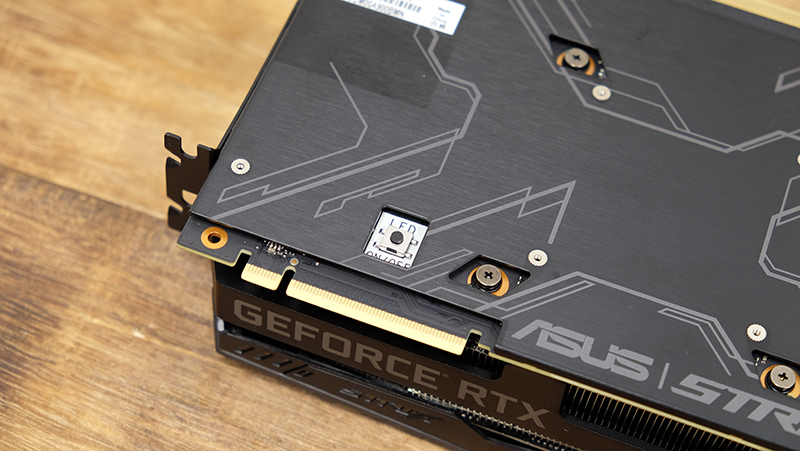 Note that this GeForce RTX 2080 from ASUS is a 2.7-slot card, which means you’ll need to leave a three-slot allowance for it on your motherboard and chassis. The card feels very reliable, and there’s even a hefty metal brace at the side to further reinforce the PCB and prevent bending. 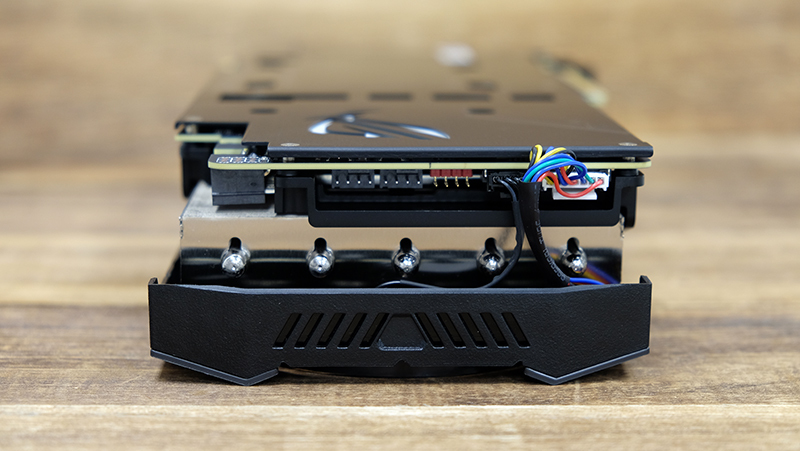 The thick heatsink array connects to a base plate that has been machined using what ASUS calls MaxContact Technology. That means that the contact area is really smooth, which increases the surface area in contact with the GPU and improves heat dissipation. I also find the design more subdued than on some of the cards from other brands. 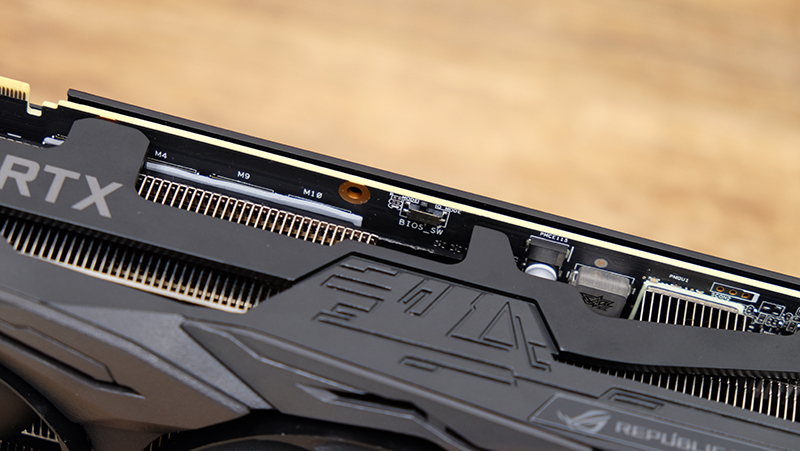 The RGB LEDs are limited to slits along the cooling shroud and the ROG logo on the backplate and side. To my eyes, this strikes the right balance between the more laidback Founders Edition card and having a strobing disco ball in your rig. Also, ASUS has installed new fans on the card. It now features so-called “axial-tech” fans which are IP5X dust resistant and sealed to protect the innards from particle ingress. These fans also have a smaller fan hub to allow for longer blades and a barrier ring that increases structural integrity and downward air pressure so air can be pulled over the thick heat sink more effectively. As it turns out, ASUS must be doing something right, because the card runs really cool and quiet. There’s also a small BIOS switch on board that lets you toggle between Performance and Quiet modes. It ships in Performance mode by default, where the fans will always remain active, but engaging Quiet mode kicks the fans into a semi-passive mode so they’ll stop spinning if GPU temperatures fall below 55°C. Speaking of manual controls, there’s also a button on the back of the card to let you quickly turn all the LED lights on or off. That’s not super useful if the card is going to be in your chassis most of the time, but I do appreciate it being there. On top of that, there’s a 4-pin header for connecting a third-party LED strip. If you use something from ASUS’ Aura ecosystem, you’ll be able to control all the lighting through the Aura software. 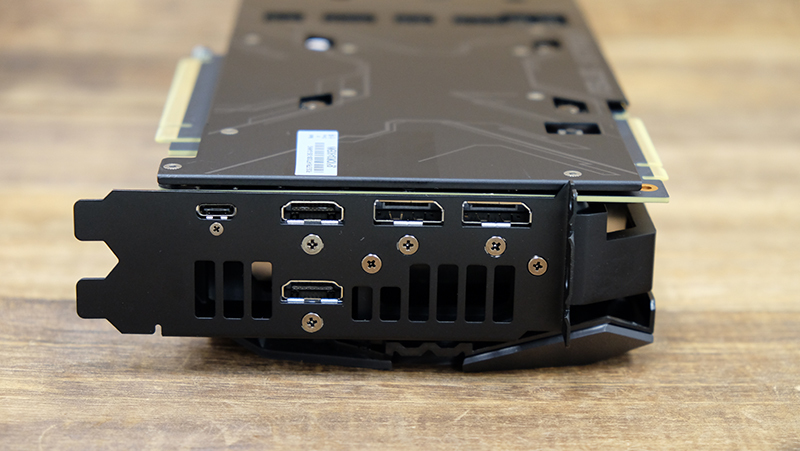 The card comes with two additional 4-pin fan headers as well. These FanConnect II headers, as ASUS calls them, will work with both PWM and DC spinners. Fans hooked up to these headers can be pegged to your GPU temperatures instead of just the CPU, which is probably more useful during intense gaming sessions. The display outputs are slightly changed from the Founders Edition model. Instead of three DisplayPort and one HDMI output, ASUS has gone with two of each type (the VirtualLink USB-C port remains unchanged). Finally, the power connectors have been beefed up to two 8-pin connectors instead of one 8-pin and one 6-pin, the better to supply the card with the power that it needs. Two helpful LED indicators will turn white once a successful connection has been established, which should help rule out loose connections when troubleshooting.